Unusual breath odors are common in kids. Typically there isn’t anything to worry about, but there are some breath odors that indicate an underlying problem. In children smelly breath that persists throughout the day is most often the result of mouth-breathing, which dries out the mouth and allows the bacteria to grow. Children who consistently breathe through their mouths might have colds, sinus infections, allergies, or enlarged tonsils or adenoids blocking the nasal passages, so a visit to the pediatrician is in order. Thumbsucking or sucking on a blanket can also dry out the mouth. Here is a list of some very uncommon, but telltale, odors (mostly from Mace, Goodman, Centerwall, et al: The child with an unusual odor. Clinical Pediatrics 15:57-62, 1976). I have been experiencing bad breath since Elementary school. I am currently 24 years old and still experiencing bad breath. It was first brought to my attention by my mom when I was younger. She embarrassed me a few times instead of helping me find out whats wrong with me. I have used all kinds of tongue scrapers including a spoon. I brush and floss twice a day as well as scrape my tongue. However, my breath still stinks. I have dry mouth a lot as well which cause my breath to smell like “poo”. It is really embarrassing. My son is 5 years old and he has told me my breath stinks as well. I know I am a very pretty girl but it doesn’t matter if my breath stinks. I hate to talk because I don’t want to offend anyone. I have tried chewing gum, mints, drinking water, taking vitamins. Nothing seems to help. What a bummer. Have you talked to your doctor about this? Maybe the issue isn’t your mouth, but your digestive system. My mouth tastes like burnt popcorn or smoke. I don’t smoke and never around smoke. What could be causing this? Hi my breath smells like rusted nails and some times I can smell and taste it, I brush my teeth and use mouth wash two times a day, and some times three times a day. What could this mean, and should I be worried? I’m 45 by the way. I’ve never heard of anything like that. What time of day do you smell it or is it there all the time? What causes breath to smell like a skunk or diesel fluid? My 5 1/2 month old son has had a peanut oil smell on his breath recently. It comes and goes every so often. I breastfeed and we have been introducing baby foods. I have not ingested, nor have we fed him with anything with nuts. He is not exibiting any other signs or symptoms. I am trying to research what it might mean, but I am not seeing anything other than articles coming up for peanut allergies and such. What could the odor mean? My breath smells like rubber, stinky feet, dead fish, and like something has rotten in my mouth. The same odor comes from my nose too. I had my tonsils removed in 2015 and my breath and nose still stinks. This is making me so depressed because when I see my Primary care docs or the ENT they also say they don’t smell anything. Suggested that I seek counseling. I have been reading a lot of the posted questions and have now become curious….what is “oil pulling”? Enquiring minds just want to know. “Oil pulling” has been used for a very long time. It’s very simple — place about 1/2 teaspoon of coconut oil in your mouth and swish it around for to to 20 minutes. Sometimes as little as five minutes will do the trick. When you’re done, spit the coconut oil into a disposable container (paper cups work well) and throw it away in the trash (not down the drain). Typically for tonsil stones people do this a few times a day. It may take a week or so to see results. It is also hailed as a way to remove impurities. I’ve done it myself, though I don’t have tonsil stones. It leaves my mouth feeling fresh and very silky. My daughter is 3, and it just stared today. Her breathe smells like a metallic smell. Almost like blood tastes in the mouth. I looked all in her mouth and I see nothing. Should I be really concerned? Any help would be greatly appreciated. My husband’s breath at times smells like beef jerky. Even right after after brushing his teeth. My boyfriends breath smells like Marinara sauce. It’s not all the time. I’ve noticed this in men before. Any ideas?? My 3yr old sons breath and wee smells like coconuts and idea?? What about the smell of burnt wires?? It might actually be vomit, if he’s been drinking beforehand. My husbands breath smells like olives. I’m not sure how I got down to olives but that’s all I smell. He brushes his teeth but I still smell the odor. He hasn’t gone to the dentist in 8-9 years. I yell at him all the time for it. He does have nice teeth but they would be great if he went at least once a year, that’s all I ask. Help me out please! My son’s breath smells like stale garlic. He and his Dad are upset with me because I stated we need find out what is the culprit. In fact, they’re not talking to me now. I told my son it could possibly be entomoeba gingivalis. He has been in college for 2 years and eats the dining hall food. I think there is something wrong and my spouse is upset that I said something about his breath. There has to be a root cause, his breath did not smell this way when he left for college 2 years ago. After 2 months, oral diabetic medications give me a chemical odor. It is so awful, at first I looked around to see what processing chemical I used, and to what I was exposing my pets. They call it a fruity odor but far from it. I feel like a walking Chernobyl. This is my 3rd intolerable medication. Suggestions? My granddaughter’s breath smells like garlic no matter how many times she brushs her teeth and tongue. My 8 year old son’s breath smells like burning plastic. When he was a baby his poops smelled the same way. It is really awful. Even after he brushes his teeth and tongue the smell comes back shortly afterwards. This bothers me greatly. It literally smells like someone lit plastic on fire. He is otherwise a healthy kid. Wondering what I am missing. I Have a 2,5 Years girl that smells like fruit in her head, hair and behind her ears when she sweats. Her breath doesn´t smell like fruit neither her urine. Her diapers are quite normal and she doesn´t drink more water then the normal. She has a twin brother and he drinks more water then her. She acts perfectly normal for her age. What’s happening with her???? Anna, my baby boy smelled the same. It is their sweat that smells like that. It has something to do with too much protein (from the milk perhaps?) in their diet. It went away with a more diversified and better balanced diet. It sounds most like diabetic ketoacidosis. Hi Craig- your comment has come the closest to what I’m searching out. My BF’s breath smells like inner tubes from tires. I used to know someone with asthma who used an inhaler regularly, and his breath would smell like inner tubes from tires after using the inhaler. This current situation has nothing to do with inhalers though. You are the first person I found saying ‘rubber’ which seems the most similar to what I would describe. If you have found any answers, please feel free to email! Why does my 2year old baby boy going to 3this coming june is suffering to bad breath it smells like a paste..the one that we used late 90s in a tube with diff.color.even i brush his teeth regulary..is there any problem with his health?because im worried.an advance thank you for those giving me the answer,. My breath smells like medicine, what could that mean? Why does my boyfriend’s breath smell like corn? Sweet and sickly. It could be ketoacidosis due to diabetes. Have him see a doc to check his glucose tolerance. Is he diabetic? If he hasn’t been diagnosed with diabetes, get him to have his glucose tolerance checked. My breath smells like cat piss, fish, [REDACTED], poop, idk what to do. Seven years suffering. Please help. Cost is not an issue for this cure. I’m sure you’ve tried everything that has been suggested, but it would help if you could list them. For instance, have you tried oil pulling? I had an issue like you after seeing several dentists….. 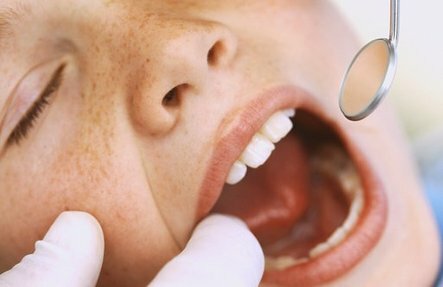 I STILL HAD ongoing bad breath then I was treated for tonsil stones …..had my tonsils removed at age40 see an ENT SPECIALIST NO MORE BAD BREATH! !GOOD LUCK! My breath smells like raw meat, well that’s the only way I can describe it, but mostly only when I wake up. It’s annoying and worrisome. What could it be? Its quite normal to wake up with bad breath because when you sleep for hours, that’s long enough for your body to get a little dehydrated. When you are dehydrated, you would have less saliva which helps to wash away odor-causing bacteria. In other words, its ok to wake up with smelly breath. Normally, people who are pregnant are most likely to experience bad breath which smells like raw meat. My 12 yr old daughters breath smells like urine. Should i be worried? my grand daughter breath smells very different ; odd and when she breath though her nose you can smell her breath ! what is the problem ? is that something I should worry about ? NOTE: I am not a doctor and I am a mom. I wonder if you’re smelling this odor when she breathes through her nose if if could be a sinus infection. Probably worth having checked by a doctor. breath smells like shoe polish……and times can even smell fish…..
i have chronic bad breathe that smells like garlic. I don’t eat garlic at all because of this. What can I do? Breath mints n mouth washes don’t seem to work and neither do gum and mints. I brush me teeth n have good oral hygiene. Please help. People tell me my breath smells like alcohol, and I don’t drink. It’s embarrassing. Any explanation for this? I am 33years old by the way. Whenever I chew sugar free gum, my breath and mouth smell like popcorn, and I never eat popcorn. I brushed and used mouthwash. And, still keeps smelling. What should I do??? I brush everyday but my breath smells like popcorn why…. My 9 month-old daughter’s spit smells almost vinegary. Her hands and cheeks smells like the spit because she chews on them. Her pacifier, toys, etc. smell like her spit. The dried spit on her face is flaky and white. What is going on? I brush her gums twice a day with baby tooth paste and rubber finger. Brushing her gums is good. But if you want excellence you must brush her tounge as well. Bacteria (germs) hide in the tounge I like to think of it as a rug or carpet where all the dust mites are at. As far as her spit ( saliva) it itself does not have a smell (odor) but when it does is when it comes into contact with bacteria. So now she is nearly two I think you can use regular toothpaste on her gums or teeth and tounge especially. Good luck. I hope this helps. What if my 6 year old’s breath always smells like rotted milk? My 7 year olds breath smelss the same way! Why? look into lactose intolerancy and lactose overload. Similar smells, with different treatments and actual causes. My son gets lactose overload every so often and his breath smells of soured milk and poop smells of vinegar. Hello, please my breath smells and I cannot distinguish what kind of smell, but I know it does smells. I have taken a lot of antibiotics and lots more, but it always comes back. I also do have a dry mouth sometimes, but not often. What does surprise me is that I do have spit in my mouth, but I think it doesn’t neutralizes the odor. I have lost my confidence a long time ago. Just still hoping that there is a cure out there. Well I’m 20. What have you tried so far? I’m sure you brush regularly. Do you floss? What mouth washes have you tried? Have you tried “oil pulling”? Please don’t take antibiotics for bad breath. Antibiotics are more likely to cause you bad breath and all sorts of inbalance issues. They should only EVER be used for an emergency. Your issue has is possibly BECAUSE of the antibiotics. If anyone wants some advice please reply. I will be addressing health issues in my new channel ‘journey to health’ on youtube. Anyone is welcome to ask me anything there. I took some antibiotics and startEd to get a smell of something like a green smell . What causes that. My son is 10 and has Autism and adhd….for years his breath always smells like corn. I guess there can be much worse things, but is this normal? When I eat a lot of chocolate my breath smells like foul green beans. I’m a 44yr old male. My daughter has that smell too. She is diagnosed prediabetic and I smell that alchohol weird type breath. I am reading up on it and I believe that I should get her to an endo Doc right away as it could mean she is in need of insulin therapy. It may be what is called Ketoacidosis. You may have settled the issue bcause it is almost a year later since your post that is. I hope you get a chance to respond, would love to hear how you are doing if things worked out. If it was something to do with blood sugar levels. Hope this helps you or someone else! I am a 26 year old male with a bad breathe problem. My bad breath is really takking away my confidence, I use normal toothpaste and mouth washes but the problem persist no matter the mint flavour of toothpaste still in my mouth. My girlfriend always say brush again but still it doesn’t stop. Can there be any speacial medication, or stages I have to follow to terminate this embarrassing sickness. Floss your teeth everyday, and brush your tongue every time you brush your teeth. I am a 25 year old male, I brush twice a day and use smart mouth rinse once or twice a day. My mom noticed I have bad breath, but it is different — it smells like something burnt, smells like gun-powder. Sometimes my urine has strong smell. My mouth tastes funny sometimes, it tastes bitter. What is wrong with me Dr.? My breath smells like chocolate. I not should why breath smells like chocolate. Please help. I am 62 years old. My grandson who is going to be 6 in April just about always has garlic breath. He doesn’t eat garlic, should we be concerned? People tell me my breath smells like garlic, and I don’t eat garlic at all. It’s embarrassing. Any explanation for this? What Could be the cause? We have a 18 month old that has breath that smells like fish. What causes this? Should we be concerned? Why does my breath smell like dry blood? I am a 52 yr old female. Your age may indicate menopause symptom. I described it as metallic taste. It’s just one of many annoying menopause symptoms. My 6 year old daughter has seasonal allergies and no health issues. For the last two years we’ve noticed more often than not that her breath smells sweet like popcorn, yogurt or cotton candy. No food or drink…nor will toothbrushing help. Pediatrician has run blood test and urine test to rule out diabetes…no clue…help! former smoker.. could be tobacco releasing into cells??? I had a hard time pin pointing how to describe the smell on my husbands breath. The best I could do was “chemical”; I finally was able to compare it to coca cola. It turned out to be “silent reflux” and was completely gone by taking Nexium daily. If he misses a pill, the smell returns. My 11 yr old breath has a very very strong vinegar smell to it. He can brush his teeth and it goes away for a few minutes, but it comes right back! Help what is this? I forgot to say i am a 73 yr old female. i awoke this morning with my mouth and nose very close to a pillow and got a good smell of my breath, and it smelled to me like dirty feet! I sleep alone and i noticed that my room smelled the same way! What would cause this? Very concerned! My grandaughters breath smells kinda like garlic really fowl she is only 7 her room smells like her breath in the morning. I am confused.. can you help? My daughter’s breath smells like rubber. Any suggestions?